Oskar Torres creations exude an overall feeling of style and sophistication without pretension, best described as “Renaissance Modernism” by Dana F. Tucker the Publisher & Editor-in-Chief of How We Live Magazine. 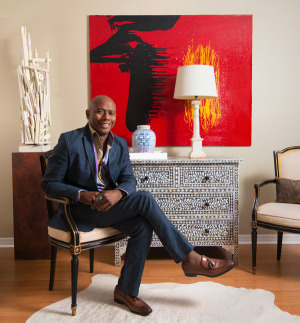 Mr. Torres has decorated homes and designed commercial spaces in Manhattan, the Hamptons and Long Island in New York, Greenwich, CT, Los Angeles, CA; Palm Beach and Fort Lauderdale, FL, as well as model apartments for the real estate conglomerate NestSeekers International in New York City. He has also styled room settings for IKEA, the Bloomingdale’s and Domestications catalogs and windows for Liberty of London, the D&D Building, Plaza Flowers and the St. Regis Hotel in the Upper East Side of Manhattan. While training with several leading design firms: Stephen Sills Associates, Huniford Design Studio, Mary Gilliatt, Naomi Leff, Sheila Bridges, Todd Hase, David Kleinberg, Robyn Karp and Ernest De la Torre, Oskar received his BA at the New York School of Interior Design. Interiors designed by Oskar Torres Inc. have been highlighted in different media: the New York Times; the New York, Westchester, Connecticut and the Hamptons Cottages & Gardens magazines, the Andrew Martin Interior Design Review Vol. 11; Better Homes and Gardens, as well as in New York Spaces, New York Moves & How We Live, Jersey City, Luxe Miami & Palm Beach magazines, South Florida Luxury Guide and Modern Luxury Miami. He was also featured on the TV show “Metro Residential.” Oskar’s editorial work appeared in the Miami Herald’s Palette Magazine in 2017/2018, EthanAllen.com, Better Homes & Gardens, 100 Decorating Ideas and Design2Share.com as well as in Terry’s fabrics.com and Builders’ Direct blogs. More recently, Mr. Torres was a featured artist in the Design Center of the Americas’ Fall Market in Florida. The high-end brand Antique Textiles Galleries named Oskar to be the creative design director in 2018. 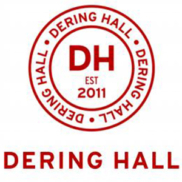 This January he was invited to join Dering Hall where he is now a featured decorator as well as in Elledecor.com. Last year, the Black Artists and Designers’ Guild welcomed him as a member and featured his work as an interior designer. Oskar’s keen eye for one of-a-kind objets d’ art, vintage furniture, textiles and decorative accessories are available through the web platform 1stdibs.com and charish.com respectively. Oskar’s contributions to philanthropy include designs for fundraising events in the Tri-state area such as: The NJ Junior League Designers’ Showhouse in Upper Montclair NJ, the Hamptons Cottages & Garden Idea House in Bridgehampton, Design on a Dime Miami (2016 & 2017) and Design on a Dime NY, as well as the Holiday Show House in New York City. Memorial Sloan-Kettering Cancer Center, the Metropolitan Opera, the Lighthouse for the Blind and the Ronald McDonald House in Long Island, have also received in kind donations from Mr. Torres. The interior design magazine, New York Spaces, granted Oskar Torres the award of “A new face of Design” in the “10 under 40” issue.